The Big Reunion - HERE I COME! Since I was small, music has always played a huge part in my life. When I was 4 I can remember watching Top Of The Pops laid down on the floor bopping my head to the music and now at the age of 21, I am still bopping. This year I was so excited to hear many of my favourite bands from the 90's were getting back together. Atomic Kitten, Five and Blue were my top bands as I was growing up and the first CD I brought was Blue's. 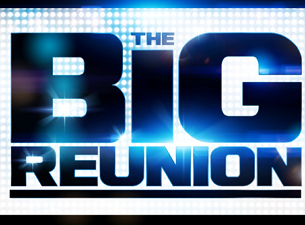 Liberty X, The Honeys and 911, B*Witched also got back together and all the bands formed the Big Reunion! A TV show was formed on ITV showing how they all got back together and showing viewers the lead up to their concerts they were going to have around the UK. I saw that they were all going on tour after the 1st few episodes were shown this year in May however I sadly missed out on the tickets to the Bournemouth Venue and decided not to go to any of the concerts however tonight whilst watching the TV programme I saw that they were doing a Christmas party and it was being held in London the day after my birthday this year. I decided I must have tickets, and tonight me and my Sister managed to book tickets! We are going on the 14th December, to the 02 arena! I am so excited and can not wait to go! Sadly Blue will not be there as they are going on there own tour but it will still be amazing! Big Reunion Christmas Party!! HERE I COME!! Loved reading this, I hope that you have a GREAT time! I loved Top of the Pop's back in my day. Hope that you both enjoy.